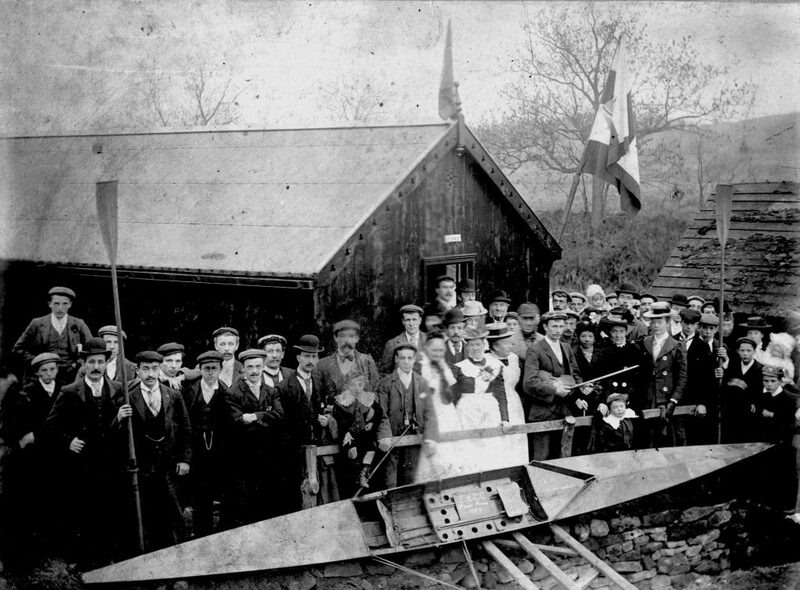 Ebchester Rowing Club was formed around 1876 and the club immediately set about building the first boathouse. 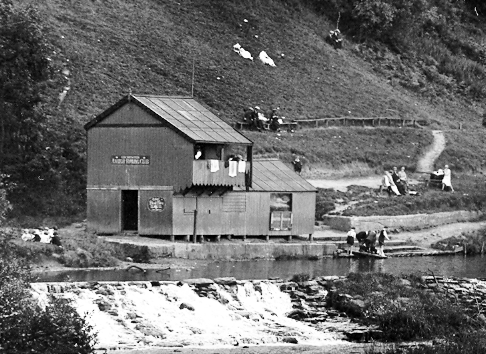 That boathouse lasted until 1899 when it was replaced with another timber building. In 1906 a dressing room and verandah were added on top of the boathouse. Ebchester reputedly had the shortest stretch of water of any club in the UK at only 300 yards: but it is one of the safest as the water is only around 3 to 4 feet deep, making it ideal for beginners, recreational rowers and rowers learning to balance and race thin, single racing sculls. In 1935 the club was one of the best in the country, with over 70 members including several women. Local Ebchester rowers had a distinct advantage at regattas as unlike anywhere else, the race involved a fast stop and turn around at the end of the course and a race back to the start. The fast stop and turn could easily capsize a rower if not performed well. Ebchester rowers were very skilled at this manoeuvre, often being faster than anyone else and being well ahead of their opponents for the return leg. However, the all-wooden boathouse, having served the Club well for almost 60 years, was described by the Consett Guardian as follows; ‘Its creaking timbers, rotting floor-boards and deteriorating foundations now need replacing’. Members organised an appeal, contacting both local firms and individuals. Response was excellent and the ‘do-it-yourself’ building soon got underway with members doing most of the work. 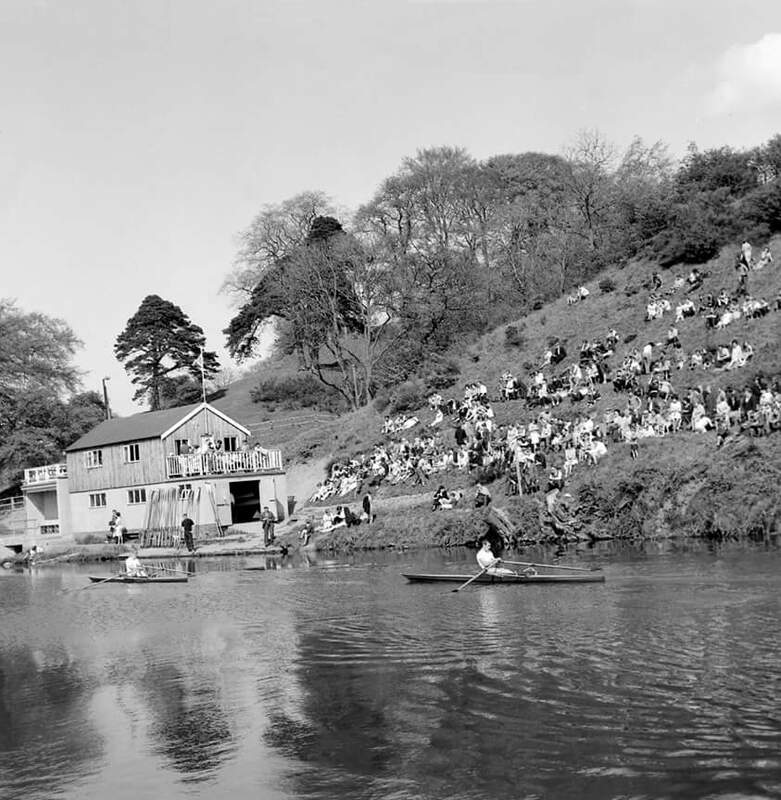 The new boathouse was completed in time for the 1960 season during which a dressing room was included on the first floor. Shortly afterwards a culvert was constructed by Consett Urban District Council to allow a separate toilet block and shelter to be built over the Ebchester Burn, close to where it joins the river. 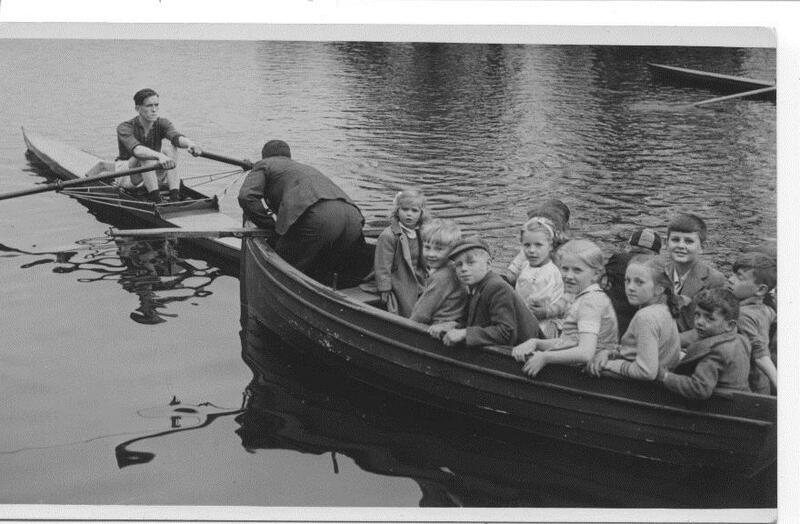 Sadly the popularity of rowing declined and the Rowing Club was dissolved in 1974. The boathouse fell into a state of dereliction and the toilet block was removed. However, in 1978, the Ebchester Village Trust stepped in to save the boathouse from demolition and in 1981 the 5th Tyne Sea Scouts brought the building back into use. Since then the Sea Scouts have continued the tradition of water activities on the River Derwent. Today the river is used for canoeing and kayaking by several scout troops: Consett YMCA; schools; and other organisations, including those who care for people with special needs. 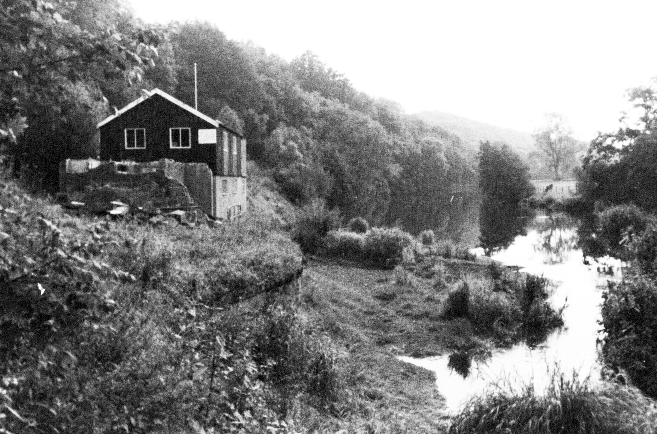 The river is also used regularly by the Lanchester and District Model Boat Club. More recently rowing sculls have become a regular sight on the river. 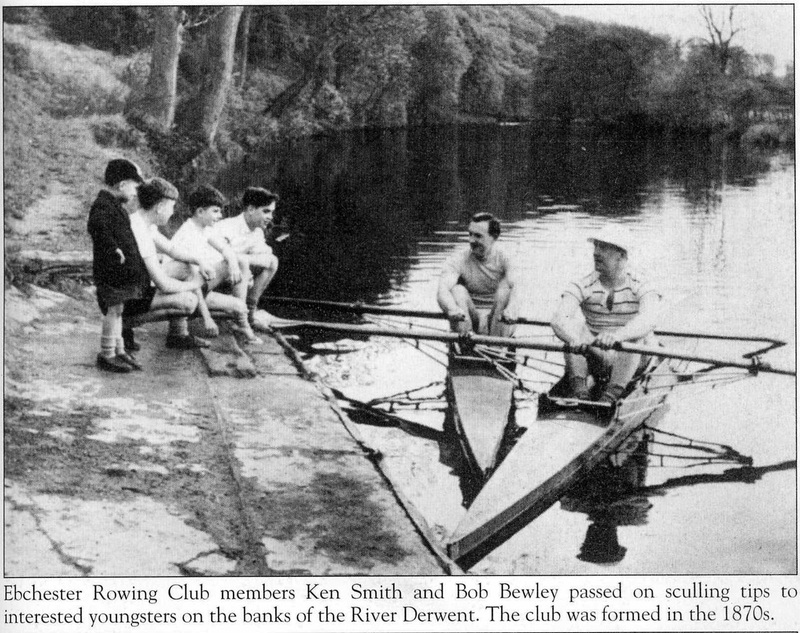 There are still many local people who remember the rowing club and regattas and there are still older rowers at other local clubs who started their journey in rowing at Ebchester. 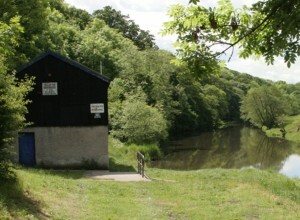 The boathouse is located in a very picturesque location, on National Trust land, within the Ebchester Conservation Area. Consequently great care was taken to ensure that the design satisfied the requirements of the local planning authority and of the National Trust advisors. The new building has been designed to reflect the the history of the site and to blend into the landscape. Once built, the new boathouse and facilities will help to make water activities on the river safer and more accessible for all. The new boathouse will be slightly larger than that existing to create more space for boat storage, and for meetings and shelter. Changing facilities will be provided in a separate, linked building. The building will be constructed in two phases, the first being the building of changing rooms and showers. 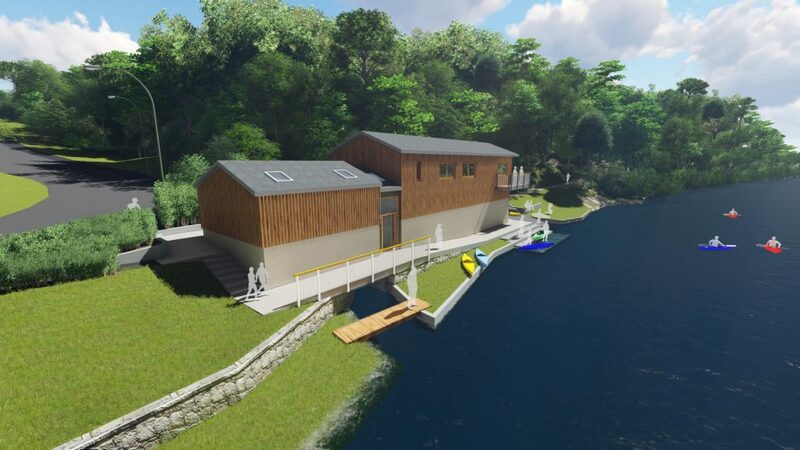 Planning consent to rebuild the boathouse has now been granted and it is hoped that work will commence during 2019 once sufficient funds become available. Further information about activities at the boathouse is available on the Rowing and Canoeing pages.